* State of Art Microcontroller Based Design. 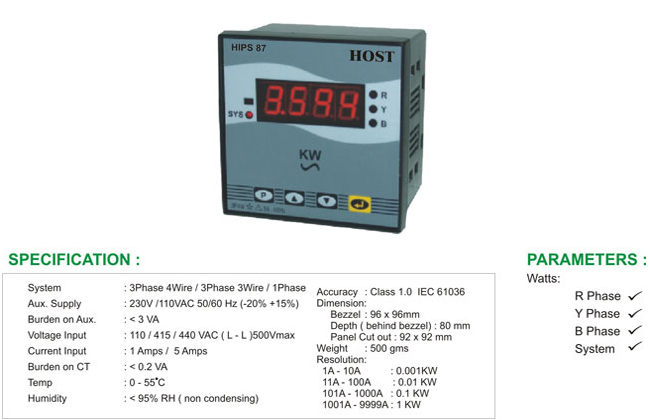 * Built in Solid state selector switch for phase selection. * Super bright LED display for crystal clear long distance day light viewing. * All CT ratios user Programmable through front Ket pad.